Portable battery chargers, like a battery pack on-the-go style, have widely spread all over the world. Thanks to the manufacturers, you can almost find all kinds of designs, all kinds of specifications about portable battery chargers. And the great variety of battery charger models are totally able to meet the demand of different mobile phones, tablets and other devices. Some battery chargers are designed to have a huge battery capacity which can keep plenty of battery power for a few charges until they need to reload for the next power storage. The smart short-circuit and overheating protection system design is crucial to a battery charger. Because the protection is instrumental to a battery charger’s longevity and safety in use. Some advanced technologies have been applied to the output unit. An output port is able to automatically identify the ideal current amperage for a certain device plugged for a charge. And the amperage flows into the device in a safe and stable manner. When planning to purchase a battery charger, quality, price, output ports, capacity specification, size, thickness, compatibility and portability should be taken into consideration. As for the capacity specification, it is important to choose a battery charger with battery capacity that meets the need of your devices. Generally, for most smartphones, their battery capacity ranges from 2200 mAh to 3000 mAh, in this example, you should get a charger with a 7200 mAh battery capacity or a little above the number. For a large capacity device like Galaxy Note 4, you’d better choose a charger with over 20,000 mAh for the battery capacity. 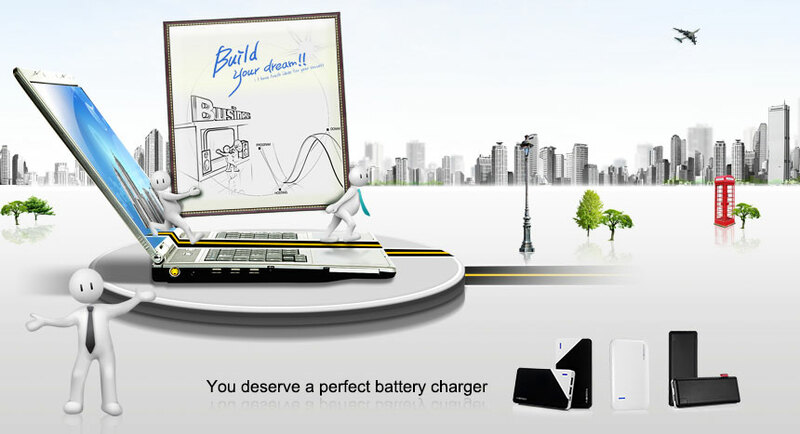 In order to choose a perfect portable battery charger, aside from the key specification, you also need to focus on the how it looks. Specifically, you might want a very handy size that fits your pocket; you might want it sturdy enough to stand tear and wear; you might want it an eye-catcher and you might want it more compatible with all your devices. It is conceivable that China’s electronic product industry has stepped into a new stage ever since many international major electronic enterprises reformed their production mode and established manufacturing factories in China or built up a cooperation with some local trusted accessory manufacturers. After they accomplished diverse comprehensive surveys in view of China’s electronic product tendency and the underlying development elements, they implement the project to cooperate with local electronic component and cable manufacturers for part of the accessories on mutual benefit. The current situation of China’s electronic component and cable manufacturing is on the increase.